Scott MacKenzie spirals down into an emotional tailspin, his whole world crashes around him. The most important part of his life is lost. He is a math professor at a small college in New England and doesn’t know where to turn. He tries conventional Medicine without success. Medications make him feel empty inside. Counseling sessions seem like a merry-go-around. His problems are analyzed but nothing is resolved. On a trip to Martha’s Vineyard, Scott unexpectedly turns to Holistic Health. He reads a book on spiritual healing and gradually feels better. He learns about meditation and wonders if it would help. 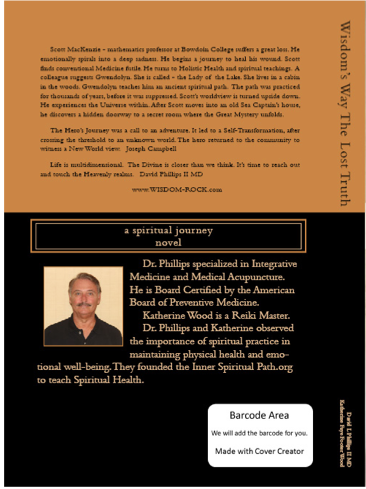 Scott’s intuition tells him he has to look outside Western Medicine to heal. A colleague suggests Gwendolyn – a spiritual teacher. She lives in a cabin in the woods on a lake. When Scott meets Gwendolyn, she reveals an ancient spiritual path. His scientific worldview is turned upside down. She teaches him there is a Universe within. The path was practiced for thousands of years, before it was suppressed. After Scott moves into an old Sea Captain’s house, he discovers a hidden door to a secret room where a Great Mystery unfolds. 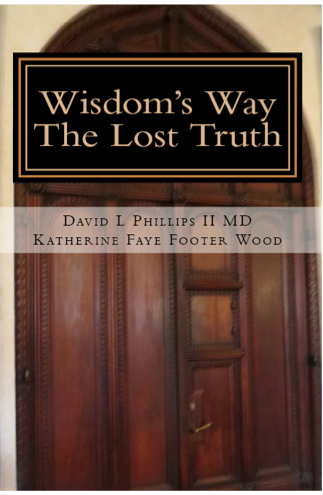 The book in paperback is available from the publisher Wisdom Rock Ltd. Please contact us with an email above stating your request.